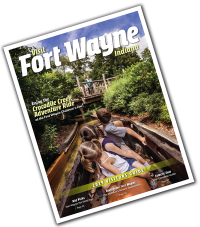 Get a great night's rest, a free hot breakfast and enjoy the best of the nearby Fort Wayne attractions like the Zoo and Science Central. Guest rooms feature Microwave and refrigerator, flat-screen TV and free WiFi. Located off Interstate 69, you have easy access to the Allen County War Memorial Coliseum, Spiece Fieldhouse, Parkview SportsOne Fieldhouse, the Ice House, Glenbrook Square Mall. Just 12 minutes from downtown. Nearby shopping, restaurants and entertainment. Check out our packages.